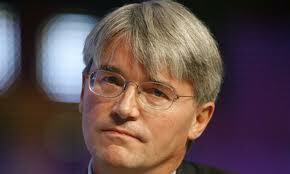 Andrew Mitchell, British International Development Secretary, is facing questioning, following his alleged involvement in getting a ban imposed on world's richest cocoa dealers lifted in Ghana. According to UK’s Sunday Times newspaper, published on Sunday October 31, Mr. Mitchell, a Cabinet Minister was said to have ‘intervened’ on behalf of a cocoa company Armajaro Holdings that had given his political campaign tens of thousands of pounds to help overturn a trade ban by the Ghana Cocoa Board. The Ghana Cocoa Board imposed a ban prohibiting Armajaro Ghana from purchasing cocoa until it reviews the smuggling situation in the Western Region. The company's license was withdrawn after an undercover operation by Anas Aremeyaw Anas, New Crusading Guide journalist revealed massive cocoa smuggling by some Ghanaians aided by security operatives across the border into Ivory Coast and Armajaro Ghana was said to be involved. The Sunday Times said that cocoa trader and billionaire Anthony Ward wrote to the minister in July asking him to help lift a trading ban imposed by Ghana on his firm after one of its contractors, Armajaro Ghana was involved in cocoa smuggling. The paper said Armajaro Holdings gave money totaling £40,000 ($64,000) to Mr. Mitchell's parliamentary office between August 2006 and December 2009. According to the paper, although it was not in his ministerial remit, Mr. Mitchell telephoned the British High Commissioner in Accra, to discuss the matter, and his officials in London asked the Foreign Office to give it "urgent attention". Henry Bellingham, the Foreign Office Minister in charge of Africa subsequently lobbied Vice President John Mahama on behalf of Ward's firm, Armajaro Holdings, and the partial trading ban has now been lifted except for one district of the country, the paper said. The said district is Enchi in the Western region. The company, whose audacious deals have earned Mr. Ward the nickname "Chocfinger", also gave £50,000 in May 2004 to the Conservative party that Cameron leads and of which Mitchell is a member. This has generated heated debate in the UK with Paul Farrelly, the Labour MP for Newcastle-under-Lyme, saying it was “naive at best” for Mitchell to have become personally involved in the case. “There will always be the accusation that, through political donations or contributions to a minister’s office, influence is being sought or bought,” he said. The internal documents, obtained by The Sunday Times under the Freedom of Information Act, show that even Foreign Office civil servants raised questions as to why the government should intervene to help Ward’s company. Mr. Mitchell’s intervention is the first case the Conservative government has faced of a potential conflict of interest. Mr. Ward declined to comment on the letter he wrote to Mitchell. John Jinapor, Spokesperson for Vice President Mahama has however denied any wrong doing on the part of the Vice President. He told Joy FM, “we remember meeting with the British Minister in charge of African Affairs (in London) and he raised an issue with Armajaro and their concern was that if an employee of the company is caught committing an offence, you don’t embark on a collective punishment of the entire company and this is normal,” he said. Jinapor said all the Vice President did was call on the affected company to petition the appropriate authorities – the Ghana Cocoa Board. Vice President Mahama recently travelled to London to attend NDC fundraising ceremony organized by the UK and Ireland branch of the party.